In addition to our regular special offers, that we bring you throughout the year, each month we also bring you a very special deal in the form of our Show of the Month. Wicked Theatre Breaks are now available with discounts on tickets of up to 30%. Click “Book Now” to check availability for your preferred dates. 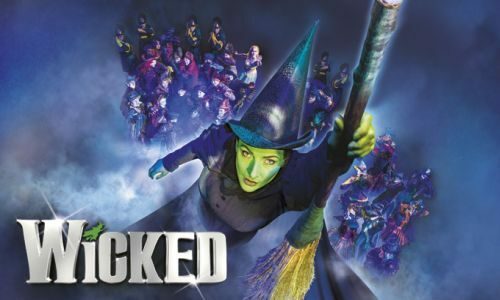 London’s spellbinding and spectacular smash hit musical, Wicked, tells the incredible untold story of the legendary witches from L. Frank Baum’s classic The Wonderful Wizard of Oz. Wicked explains why one witch came to be called ‘good’ and the other ‘wicked’. Not only are there saving to be had on Wicked you can check our other Special Offers on Theatre Breaks – including Dreamgirls, Les Miserables, Phantom of the Opera and Matilda – The Musical – All perfect for a romantic short break or anniversary celebration. For other West End shows with special offers, see our dedicated page to all discounts and deals in London’s West End.